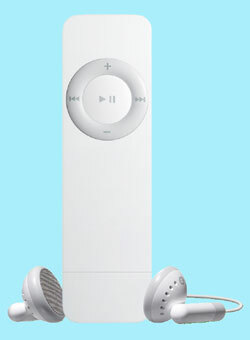 iPod Shuffle Could Get Memory Boost | OhGizmo! By David Ponce on 05/30/05 • Leave a comment! There’s a little rumor that Apple may increase the size of the Shuffle’s memory to 2 and 4 Gb sometime between June and August of this year. There’s even an article for you to read and decide if this is something you’re going to want to try and believe. It’s the DigiTimes, and the link is here. Story VIA T3.